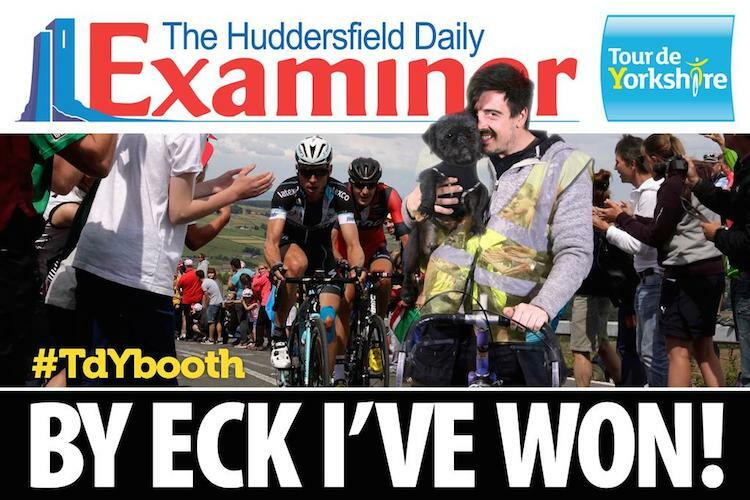 Who won the Tour De Yorkshire on a bicycle made for one man and his dog!? The month of May saw the North donning their knee pads and reflective gear just in time for the Tour De Yorkshire! No not all of us are athletes but that doesn’t mean you can’t get involved in the action! 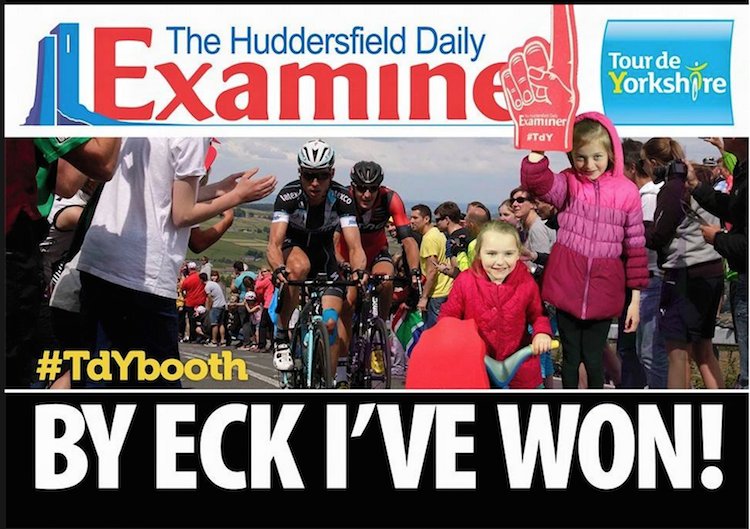 The Huddersfield Examiner asked our team at Street Advertising Services to create a way to get the whole family involved in the Tour De Yorkshire. 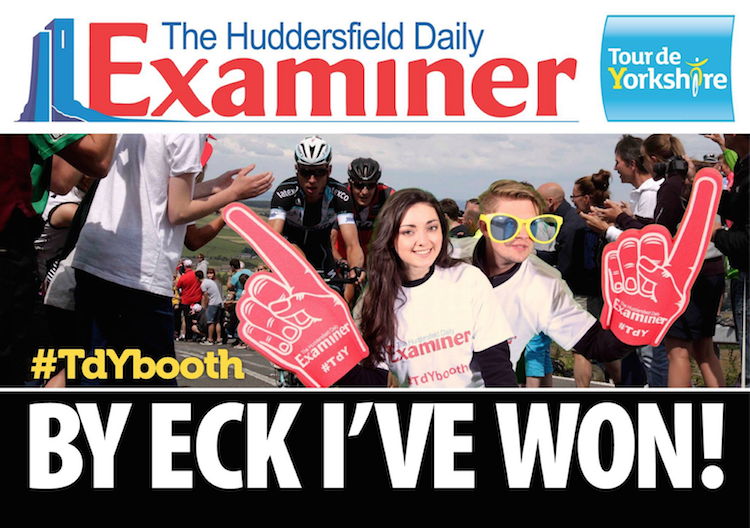 We set up a Green Screen Photo Booth in the town centre that not only let the public experience what it was like to win the race but also put their triumph on the front page of the Huddersfield Examiner…figuratively speaking of course! Hundreds of people entered the booth and left as champions, complete with a free foam hand to help cheer on the cyclists! Families, couples, best friends and even a man and his dog joined in on the fun! This campaign gained great social media coverage with hundreds of shares on Facebook using the hashtag #TDYbooth. This campaign generated over 250,000 social media impressions! Pretty good going in our book! To discuss how we can generate this kind of social media attention and more for your campaign or brand then get in touch here.